THE DAILY PEN: Lakin’s Painful But Essential Question To Americans: What Are You Worth? Lakin’s Painful But Essential Question To Americans: What Are You Worth? The superior actions of an honorable warrior speak louder than the inferior words of those who merely observe his struggle. When Dr. Lakin decided to measure, qualify and, ultimately, challenge Barack Obama’s Constitutional standing to be America’s executive officer, he fully understood the price of his fight. Having already proven his "honor, duty, sacrifice and bravery" for 20 years on the fields of battle, fighting for America, he was suddenly confronted with the reality that he now must prove that honor, duty, sacrifice and bravery on the battle field of legal justice and integrity. Liars and abettors beware. In criticizing Lakin's dutiful responsibility to challenge orders he believes are illegal, Obama sycophants are causing the storage of a special wrath for themselves. Their first offense is denying the truth of Lakin's honor and integrity as it emulates the foundations of America, itself. The very America in which they are allowed to reside...at least for the moment. Lt. Col. Lakin has seen the horrific wounds of war. He as seen the cost of a blood ransomed nation and witnessed the loss of human life. As a medical doctor serving in the military, it’s difficult to imagine the pain and injury he has witnessed in the worthiest of freedom’s deservers. Dr. Lakin heals and comforts the young men and women who fight for us. He has done this loyally and without blemish for two decades. Therefore, like many of our brave men and women serving in our military, there is no one with better qualifications to confront the dishonesty and lack of integrity of a civilian commander about his ineligibility to give orders to them than Dr. Lakin. Anyone doubting this should simply ask the soldiers and officers Lakin has served what they think. The contrast between a man like Lakin and a man like Obama is so vast it staggers the mind. Obama's legal defenders, including the judge assigned to the case, are in a terrible position. They cannot address the merits of Lakin's case if their intention is to protect Obama's lies, yet they cannot allow the truth about Obama to be used to rebut Lakin's charges for fear of Obama's "embarrassment". Moreover, they cannot allow Lakin to be acquitted lest they undermine the command structure of the entire military apparatus. They understand that an acquittal would set a precedent allowing any military service member to refuse any order based on their challenge of Obama's eligibility to command a military giving that order. So, they can't fight and they can't surrender. Which leaves only one nauseating option available for them. Obama must run and hide. If Obama's minions attempt to meet the merits of the case, they understand that they would have to be measured by Lakin's standard and thereby be convicted of immeasureable offenses against a blood ransomed nation. Therefore, the only option available in his defense is to cower in the darkness away from the light. In this result, Lakin is accomplishing something far more effective than exposing the truth about Obama's covert identity. Lakin is rendering him impotent against the essential value of America. 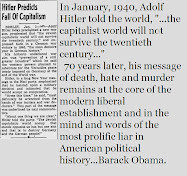 For, as long as Obama runs away from the truth, he cannot be worthy of a relationship with vintage America. As long as Obama refuses to disclose his identity, openly to the essential peoples of America, he will not be able to gain the affect he desires from the source of America's value. As long as Obama abandons men like Lakin, the more distant he must retreat from the core of American principles. This option is not necessary for Lakin. He need only maintain the standards of honesty, transparency and integrity by which he as served America for all of his professional life, and America will love him for it. As such, Dr. Lakin should know, without doubt, that his name is spoken with honor, joy and pride among the echelons of vintage American heritage. He should forever be encouraged to simply disregard the inferior, cowardly, ignorance of those opposing him, knowing with full confidence that they do not matter to the honorability of America or the glory of God. He should know, and be told daily, by anyone who values truth, transparency and integrity, that his position for America is not only valid and right, it is graciously obligated of him in his sworn duty to not only uphold the documented sovereignty of the nation for which he fights, which is the Constitution of the United States, but to also demand that same documented sovereignty from those under whom he voluntarily surrenders his very existence and which he, himself, is asked to submit as identification in his duty to America. Ironically, unlike the President under whom he serves, Lakin must submit a valid, original birth certificate, passport and military service identification in order to be eligible for his duty. However, let us be reminded. Dr. Lakin’s court martial for disobeying deployment orders is not about exposing Obama as it is about preserving the integrity of America’s reputation. Dr. Lakin understands this. Unfortunately, however, the justice system available to Lakin is deficient of the character required to measure the metrics of his case on the merits of its evidence. The military Lakin now serves in does not deserve his level of dedicated service or his purity of honorable substance. This military has been usurped, and even corrupted, from the highest rank and influenced by roguish cowards too weak of mind to embrace the rule of law in such matters. So, perhaps it is poetic that his duty within it should be relieved under hostile conditions. If the dregs of Obama's regime were real Americans of the highest order, they would abandon all reservations to help Lakin in his endeavor. If they were truly men and women of integrity upholding the value of America's blood ransomed worth, they would sacrifice their own standing for Lakin's greater cause. Lakin understands this, too. Certainly, Lakin believes that all men are created equal. However, he also understands that men deserve inequality through the course of this life after they have been created. Lakin sheds light on this truth more than anyone in our nation today. Bearing witness to the injury and death of warriors, Lakin will never say that he is worthier than anyone. His humility resounds authentically upon those unspeakable experiences, but Lakin must be made to understand that he deserves a extraordinary level of respect. It is an abomination that his lascivious opposers deny this in their hateful derision while supporting a figure as covertly blacked-out as Obama. More importantly, however, Lakin also understands that, someday, perhaps many years from now, America’s future generations will wonder what some in our society were thinking. Suffering, they will ask what could have possibly possessed some citizens to make such destructive and depraved decisions in electing such a disdainful horde of unprincipled purveyors to govern what was once the greatest nation in the history of mankind. Sadly, of course, the only actual answers available for the loss of that generation’s value will be that many today abandoned their honor for the fraud of governmentally imposed social justice. They will have to say that many betrayed America’s vintage heritage for a perverted global citizenry based on communal doctrine. They will have to admit that many allowed the destruction of themselves from within, enabling their own death, by shielding their enemies with political correctness and Godless existentialism. Most tragically, however, America will have to explain to future Americans why they failed to uphold the essence of America's citizenry in men like Dr. Lakin. They will have to explain how they allowed the value of America’s worth to be undermined by a psychotic generation of hateful liberal extremists who ventured too far into their delusion, confiscating that worth through irresponsibility. Many will have to say that they allowed this today, recklessly, without caring that the maintenance of that worth will burden those Americans tomorrow. Then, many will have to explain to that diminished generation how they allowed deranged radicals in America’s government to undersell their worth to global interests and enemies in order to create a perverted rendition of social equality through redistributive transformation and reparative economics. Many will actually have to explain why they allowed degenerates to legislate decency, charity and ability blessed exclusively to some of us. In providing specific examples, among the many which will certainly exist, they will have to give an account to our great-grandchildren why they allowed our government and sheepish factions of liberal humanity to betray vintage American heroes. Needless to say, there will be no worthy answer to explain their loss and the systematic death they will suffer. However, they will yearn for the merciful treatment and healing wisdom of men, like Lakin, who were rejected by corrupt legalists and incompetent legislators. Honorable, merciful men, like Lt. Col. Terry Lakin will have long since passed. They will never have to explain the reasons for those befallen horrors. They are exempt from blame for America’s failure, now and then. For now, Lakin must engage his fight on a second front. He now must apply his duty to protect the U.S. Constitution for a more important cause against the lack of integrity of our current leadership under which he serves and under whom serves those Lakin must witness the suffering of. Upon such experience, Lakin is sovereign in his right to challenge the eligibility of Barack Obama. He is fighting a more insidious enemy than any radical muslim terrorist. He is fighting those who falsely claim to be protectors of vintage America while bleeding away its treasure and forsaking its blood ransomed sovereignty. Not only has Lakin done his job honorably among the dangers of war throughout the world, he is doing the job that others in our elected government are too cowardly to do. He is questioning their worthiness after being confronted with the blatant evidence of their deficiency. More importantly, Lakin is now not only fighting to protect the sovereignty of our nation from terrorists, he is also fighting to prevent the usurpation of our society from within by treacherous, power lusting liars. Instead of applying his medical expertise and combat experience to mend the lives of battle field warriors, Lakin is applying his conscience and professional integrity to protect the lives of all Americans, now and in the future. As with all those who serve in the American military, we owe Lt. Col. Lakin all that we are. As a message to all liberals and Obama supporters alike, you might not like the fact that Dr. Lakin is challenging the integrity of someone you support. You might not like the fact that Dr. Lakin is a vintage American hero possessing a vast record of honorable service and decorated recognition which Obama does not possess. You might not even like him personally because of your dissonant prejudice to understand that your very right to be hateful and wrong is protected by worthier men, like him. Certainly, you wanted to believe that the person you voted for was worthy of your vote. You wanted to believe that all of those endless arguments with your conservative friends would prove you right and justified. You wanted to believe that if Barack Obama was ever measured against another American, like Lakin, that he would not be proven to be the wanton, dishonest charlatan he has been shown to be. You want to believe that your worth would be upheld by Obama…not a man like Lakin. However, the teeth gnashing reality that you must now bear is that Lt. Col. Terry Lakin has more integrity and honor and credibility than Barack Obama will ever have. It’s understandable that truth is painful for you to accept, but that is just the way it is. You see? Men and women, like Lt. Col. Lakin are the bearers of America’s value. They are the ones with the actual authority to determine the worthiness of our nation among its people because he has paid the price for its ransom…which is the right to be free. Contrarily, Barack Obama is not a provider of freedom. He is an exploiter of it. Obama has lived a life without the record of service which endows Dr. Lakin’s value as an American. Obama is the worst kind of citizen. Rather than one willing to shed his blood for other’s freedom, Obama is one seeking to draw other’s blood for his freedom. This not only makes men, like Obama, criminal. It makes them an enemy. Oh, you thought the duty of a good soldier was just to obey orders without reasoning? Sorry, the Constitution disagrees. When Thomas Paine wrote “Common Sense”, America was also under the threat of a powerful, but evil regime. Paine, like Lakin, seemed to understand that the essence of America exists in its forthright leadership toward remaining loyal to principles, truth and decency. Paine, like Lakin, seemed to understand that the greatest bastion of this essence was embodied by those we choose to represent us and, that if we failed to pick men and women worthy of the blood ransom paid by those for its sovereignty, we are truly in peril of losing our liberty and thus, our worth to one another, and thus our very existence. In the end, even if Dr. Lakin loses his freedom at the hands of Obama’s abetting, corrupted judges, even if he is dishonorably discharged from under a now dishonorable military command hierarchy, even if he loses his monetary compensation as an exceptional medical professional, even if he must perform hard labor under this fraud-ridden circumstance, even if the inferior liberal portion of America betrays him…it is forever necessary that he carries within him the knowledge that he is the essential worthiness of America, unburdened by his decision to fight these enemies. These truths become apparent because we are now forced to compare the character of Lt. Col. Terry Lakin with the character of Barack Obama. It has come to this dichotomy not because of Dr. Lakin’s dutiful responsibility to act in accordance with honor, but rather, it has come to this because of Barack Obama’s disdainful choice to act covertly in violation of the standard of honor set by Lakin. That comparison is simply not fair. Obama can never reach that mark. This is a last available opportunity for Obama to tell the truth. He has the opportunity to act in accordance with what is right, true and honorable and win some semblance of respectability as a man, even if his political identity is dissolved. This is an opportunity for Obama to be truly set free from social injustice and personal desperation. This is an opportunity for Obama to stand with Lt. Col. Lakin and make himself truly known before men, and God. For, at a minimum Barack Obama owes Terry Lakin, and all Americans, the truth. 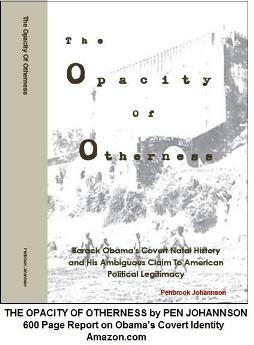 At most, based on comparable biographies, Obama owes Lakin for his existence in America. If Lakin goes to prison, that opportunity is lost forever. Mercy can only store wrath for so long before the constraints of grace give way. God bless Lt. Col. Terry Lakin in his righteousness. And, yes, may God bless Barack Obama, that truth and transparency will win him over before it is too late, and that he will join the American people in preserving the blood ransomed sovereignty of the last, greatest nation on earth.